Iâ€™ve been looking at the different options for VR glasses for sale and have researched them a bit. The Vive seems to be a more immersive, integrated experience with controllers that come with it but Oculus will release controllers soon and it is all a bit cheaper. The PSVR is the most basic and cheapest plus I wonâ€™t need to upgrade my computer. The Games are obviously most important, but itâ€™s difficult to choose between the line-ups right now. 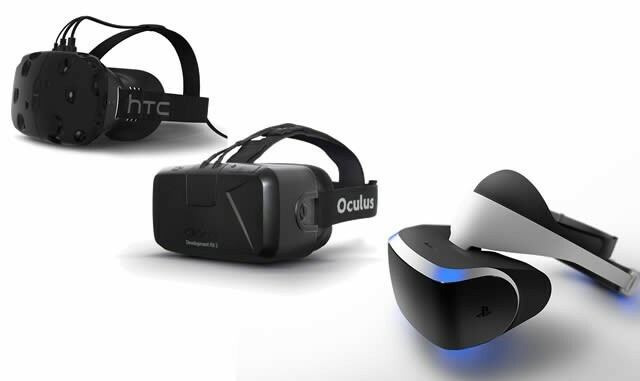 If anyone is into VR, which would you choose? I'm by far the most interested in PSVR, as I already own a PS4 and wouldn't have to make an expensive PC purchase in order to get a solid VR experience. Aside from it being the most cost effective VR option on the market, it being directly backed by Sony and its first party studios means we get a better chance of quality, original AAA experiences in VR. It may not be the most immersive place to experience virtual reality, but it seems like it'll wind up being the best one to simply play games on.